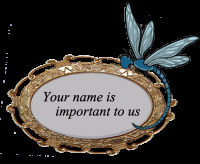 "Your Name Is Important To Us"
Click on the button to download an order form. You may use this form to order by mail. Or you can order online.